Posted on June 21, 2016 by No Map Required Posted in Art, Places, United States, Washington	. Seattle, in addition to being the “Emerald City,” is also the Land of Festivals. Every little neighborhood, enclave and organization within the city limits throws at least one soirree during the year. As you approach Seattle Summer, which starts just after Fourth of July regardless of what the almanac says, you cannot throw a rock without hitting a festival! And possibly a demonstration or half-a-dozen signature gatherers, but I digress. 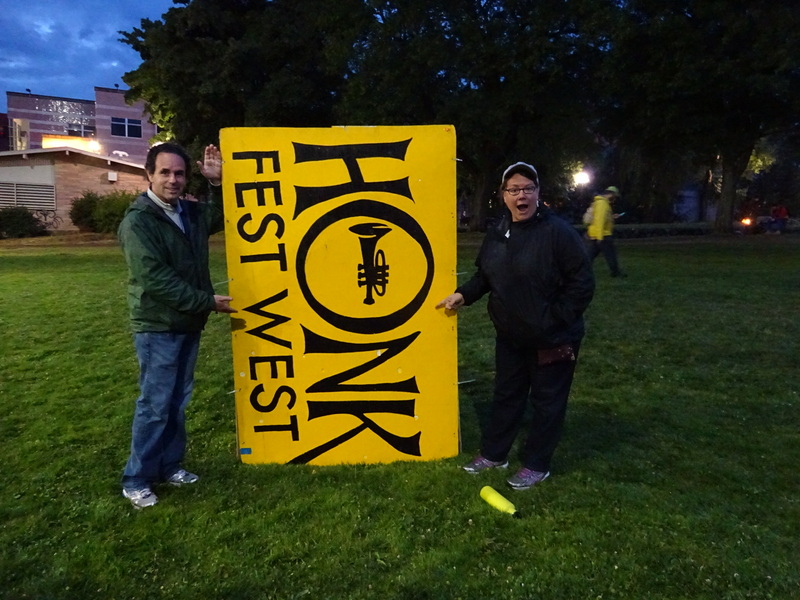 HONK Fest West is one of our absolute favorites. 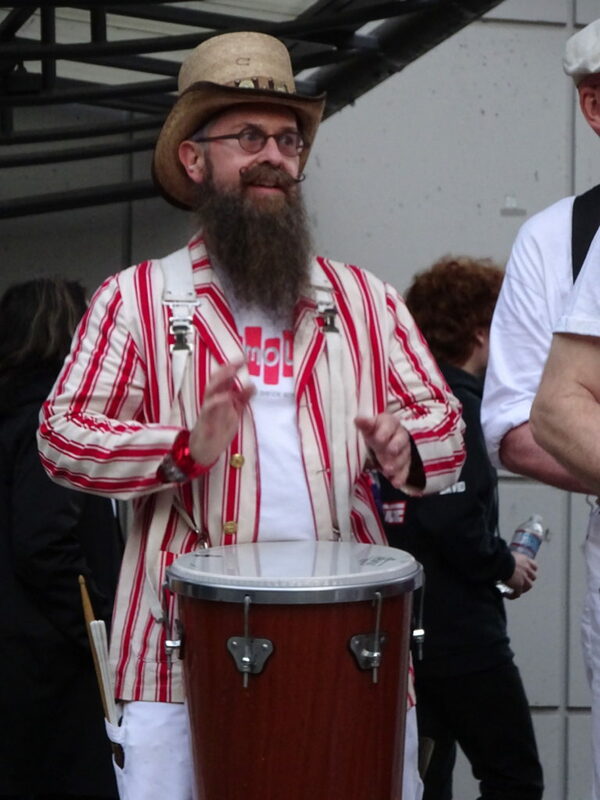 If you haven’t heard of it, think big drumline/brass band/street band festival. It’s crazy, fun and definitely alternative. In short, HONK is a great example of what we love about our city. We made it home in time to catch HONK Fest 2016! This is probably what you expected when I said “drumline”. This is good. 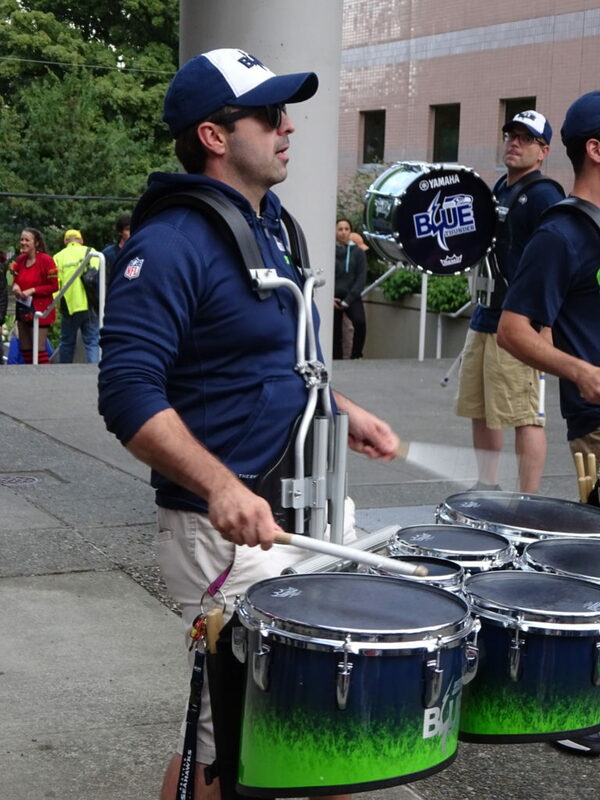 I’m nearly certain this is Tony Sodano – director of the Garfield HS drumline and member of the Seattle Seahawks Blue Thunder. 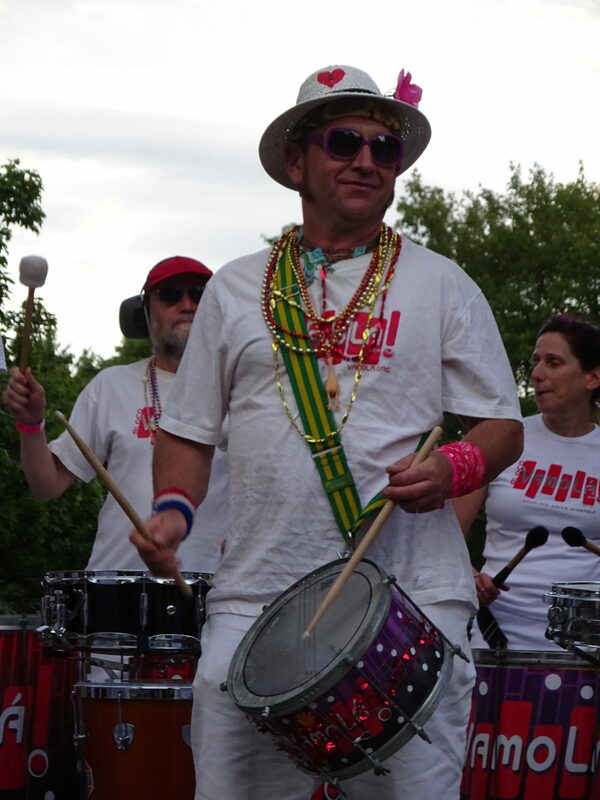 But HONK Fest is so much more than just drummers. 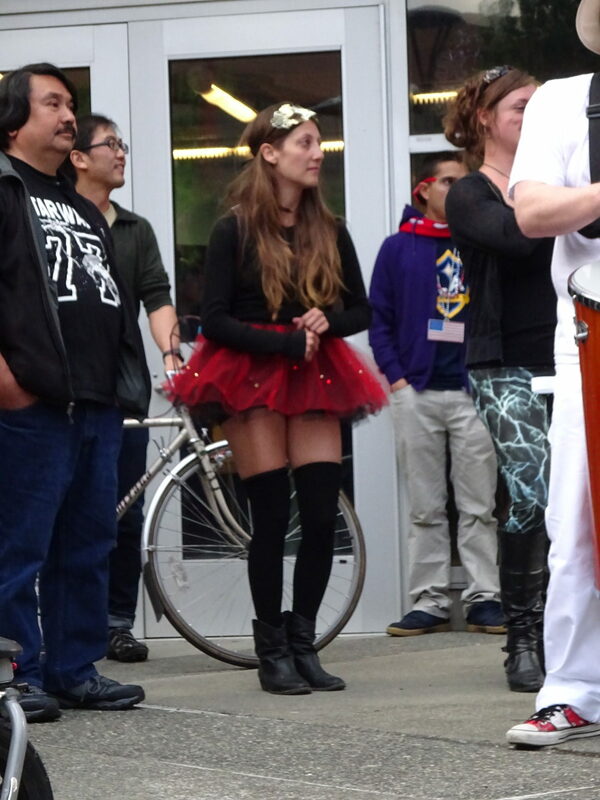 It’s a quintessential Seattle, let your freak flag fly, festival. You’re never too old, too crazy, too tubby, too skinny, too gay, too straight, too corporate, too street, too anything to join the band, to color your hair, to wear a tutu, to dance to the beat, to pour joy into the streets and just have fun for the sake of having f-u-n. Festival folks are just as likely to be captains of industry as baristas, freelancers or artists. Seattle loves its’ freaky-deaky artiness. I say, bring it. One of our new favorite bands: VamoLá. Aaron said he wants the jacket…and I’m nearly certain he wasn’t kidding. 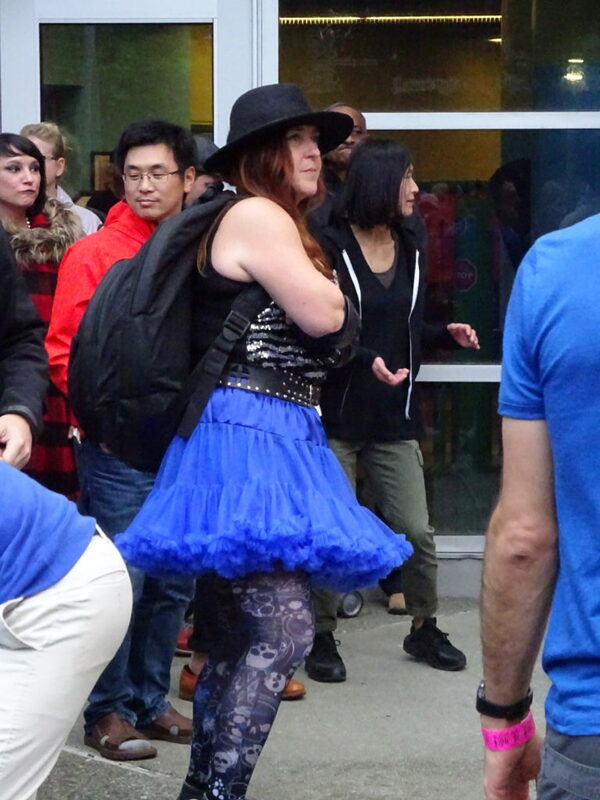 Grab your tutu and head out in the crowd. Or Blue. Or any color you want! Be careful, though, or you might find yourself blending in with our crosswalks! Yes, like the colors of our hair, our ink, our boots – we’ve got the rainbow. Thank you Gay Pride Month for brightening our city. What else I love about event-going Seattle? Pint sized hearing protection so the tots can go to concerts, festivals and the loudest football & futbol contests in the nation. And when the sprinkle starts, everyone acts like they don’t feel a thing until, as if on cue, stowaway raincoats magically appear. 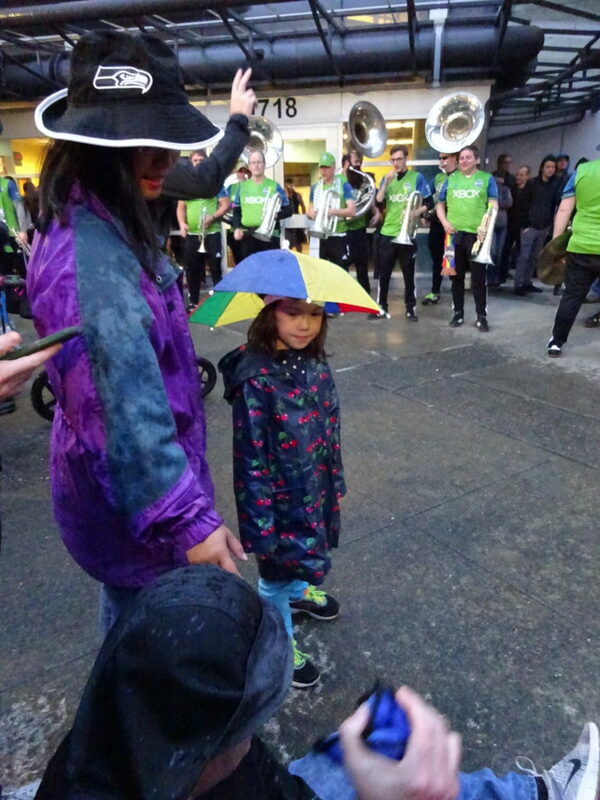 You rarely find an umbrella in Seattle…but an umbrella hat? Yes. Those you might see. 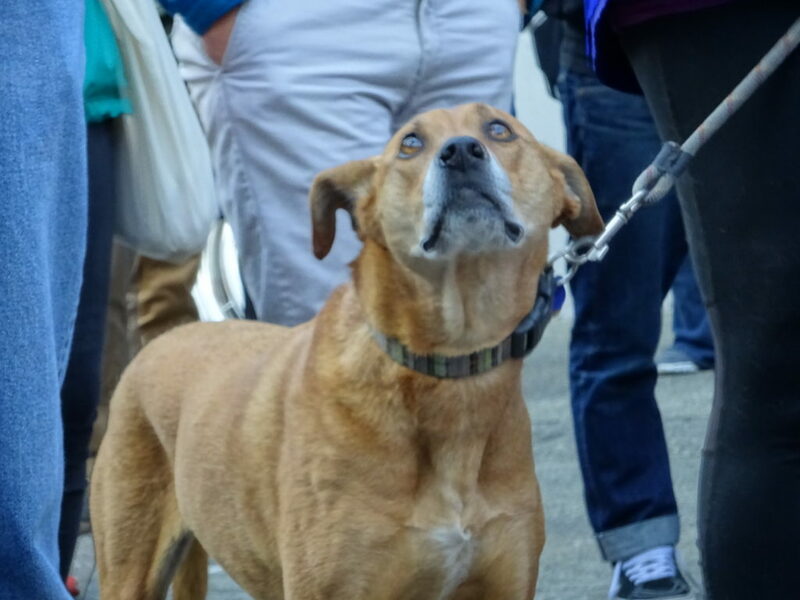 The attending pups didn’t seem to care about the rain! 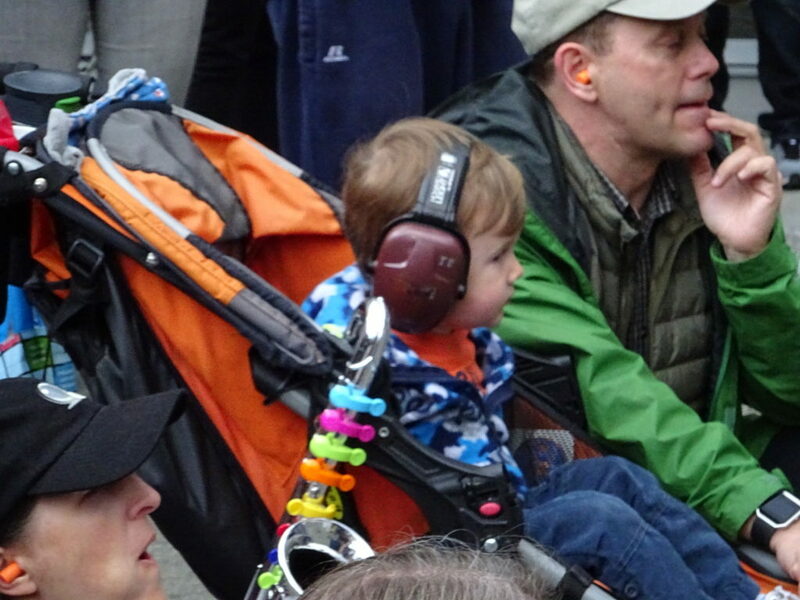 Not sure if they got hearing protection too, but they always give our festivals a friendly, furry edge. VamoLá, you’ve got it going ON! If you like what you see, hopefully you’ll take in your own HONK Fest (East or West) and feel the beat! We’ll meet you there! Best capture of the feeling of the Seattle summer continual celebration ever. Award winning! Awesome! So glad you guys are into HONK fest now! Definitely a different scene than Georgetown of years past but the bands are as awesome as ever. 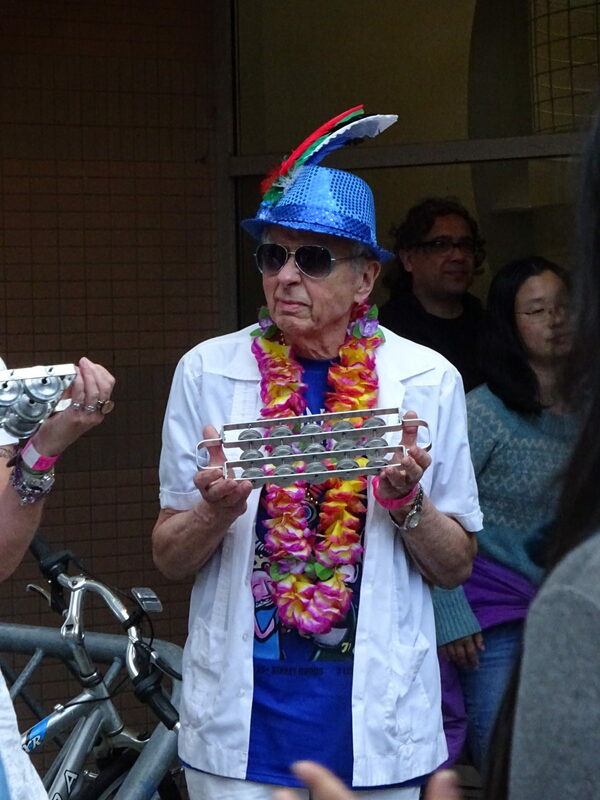 Highly rec checking out Chaotic Noise Marching Corps next year….they totally rock too! We’re SO in! Checked out CNMC online and we agree, they do rock! Wow… I’ve lived in Seattle my entire life and never heard of this. how cool! Now I must go!